Kung Fu Panda 2 is quite simply one of the most justifiable sequels of the last ten years; why yes, I would love to clarify that statement. But not yet, first you have to sit through my breakdown of the synopsis, for this is how I structure my reviews (just in case you’re new to this site). The film opens with an almost shadow-puppet theatre style animation that recounts the story of young Lord Shen’s [Oldman] banishment after utilising the power of fireworks to create weapons. Upon learning that he would suffer downfall at the hands of a warrior ‘of black and white’ Shen mercilessly executed every Panda he came across. As he entered exile, Shen vowed to return and reclaim his inheritance as ruler of Gongmen City. Set shortly after the events in Kung Fu Panda, Po [Black] has accepted his role as the dragon warrior, continuing his training and protection of the outlying villages. Meanwhile, Shen is planning his return and sent his army of wolves across the nation, scavenging any metal they can find, in order to create an armada loaded with cannons. Calmly entering the castle, Shen confronts the three greatest kung fu warriors and decimates them with his new-fangled weapon. Shifu [Hoffman] receives word of this attack and sends Po and the Furious Five to counter the weapon and save the art of kung fu. Along the way, Po is haunted by cryptic images of his past – brought about by his father’s confession that Po was adopted (a minor running joke in the first film as Po’s father is a goose). Po soon realises that the answers to his questions, as well as the means to achieve inner peace can be found in Gongmen City. So, yes, most justifiable sequel in a decade. Unlike the majority of sequels which are created for the sole purpose of earning the production studio more money, Kung Fu Panda 2 feels like a genuine opportunity to further develop the lead characters whilst telling an entertaining story. More specifically, examining Po’s past could easily have been a poorly handled, hollow waste of time (as it usually is in most prequel/origin flicks) but the events transpire so naturally that the entire affair feels like a carefully executed progression. On top of that, the unique humour, visual style and endearing characters ensure as much of the original appeal and success have been retained. 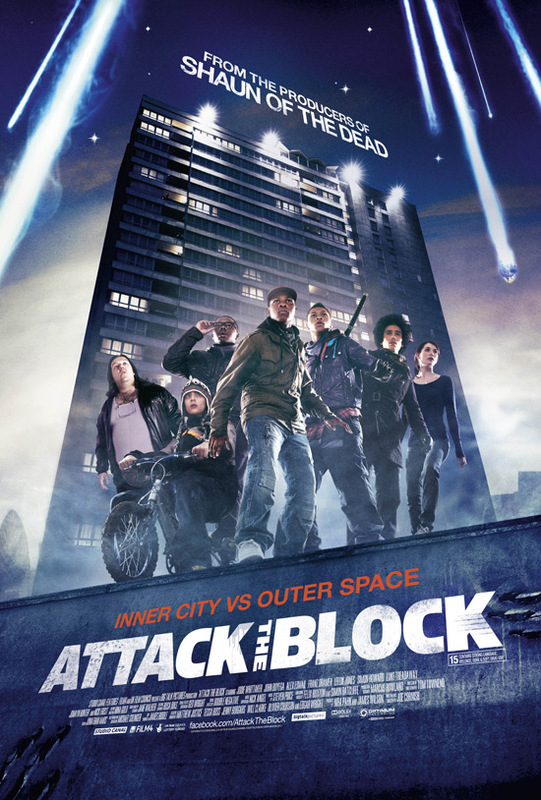 Furthermore, the popular opening animation has been expanded and used in various flashback sequences, demonstrating the creator’s keen awareness of what the fans did and didn’t respond well to. But beyond the humour and action sequences, there is a surprising level of tenderness – not Pixar level but better than the majority of contemporary CGI animated fare. 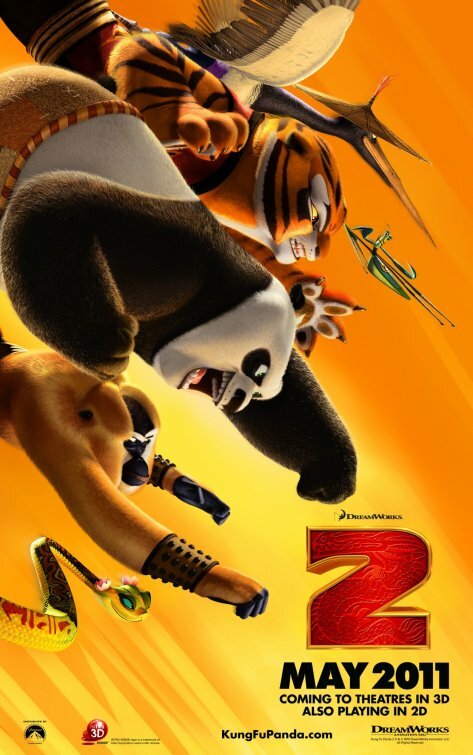 Much in the same way as its predecessor, Kung Fu Panda 2 walks a thin line between amusing family film, base-level humour and decent filmmaking, never veering too heavily one way or another; all the while avoiding that nasty ‘middle of the road’ mire that the Shrek series eventually sank into. As entertaining as it is, there are still a few flaws. The first of which being the sheer amount of on-screen characters. It was only at the end of Kung Fu Panda that Po was accepted by the furious five and even then they were quickly defeated by Tai Lung. Granted, the only new introduction is a new bad guy and the goat shaman but with Po, the furious five and Shifu, that’s seven distinct individuals battling for screen-time and much like the last film, Rogen, Liu, Cross and Chan are all quickly relegated to a handful of one-liners. Equally, as much as I am praising this film for its similarities to the first film, a lot of people will find that not only annoying but a simple rehash of the same story. I don’t believe this to be true but there are individuals who will, so thought I’d make mention of it. Overall I was very impressed with this release, I still don’t think the 3D element was in any way necessary but if you can see it in IMAX, I would advise you do so. With decent pacing, character growth, skilled animation and compelling voiceover work, this film is a stunningly impressive sequel (for what it is) and I’m eagerly looking forward to the next instalment. Having discovered the rotting remains of his home and his identity (told you there were spoilers), Po returns to free the Furious Five and confront Lord Shen’s armada. Enigmatically, standing on a rooftop, Po calls out to the fleet before flinging his hat, with the intent of breaking the chains detaining his colleagues. Instead we witness a speech that no one can hear because of the distance and a straw hat that simply wafts away on the breeze. The series of events aren’t key to the humour but the delivery and keen pacing throughout sell the exchange beautifully. As stated, with so many characters jostling for screen time, it’s difficult to fully appraise each performance. 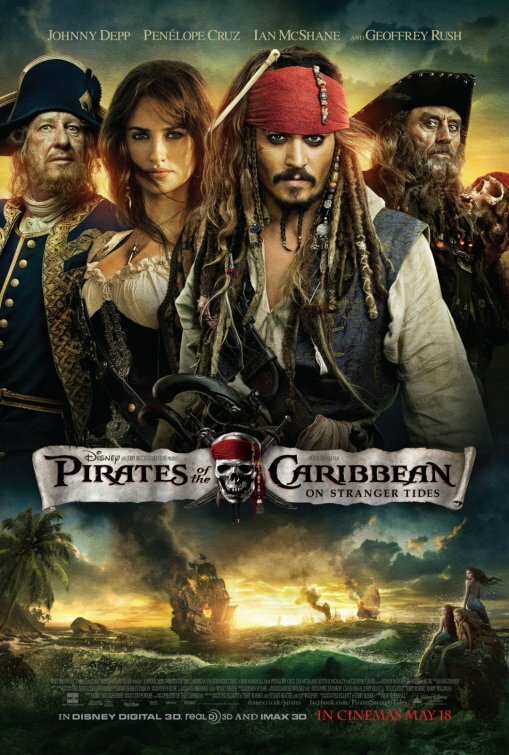 However, it is apparent that these films thrive on Jack Black’s energy and personality (unless you hate Black, in which case you’ll just find these films annoying) and the introduction of Gary Oldman. A peacock is a hard sell as a villain – especially when trying to rival a 150kg panda – but voiced with sufficient bitter spite, Oldman ensures Shen is a nice parallel to the physically honed Tai Lung [Ian McShane] of the previous release. Do you remember when it was announced that Star Trek was being rebooted, or Batman for that matter? Do you recall the outcry from fans and the nervous dread in predictions and early reviews? If you do, you surely remember that they were spectacularly surprising successes that stood out as one of the finest movies filmed under their respective series name. X-Men: First Class is no different and has neatly set itself up to be not only a fine, entertaining blockbuster but easily the best prequel ever filmed. Opening in the mid-forties, the plot explores the harnessing of young Erik Lehnsherr’s mutant ability, under the cruel tutelage of Sebastian Shaw [Bacon]. Simultaneously, we are also introduced to a young Charles Xavier, who confronts an imposter that turns out to be a very young Raven/Mystique. As the film rolls on twenty years, Xavier [McAvoy] is studying in Oxford with his ‘sister’ Raven [Lawrence] and Lehnsherr [Fassbender] has spent his time tracking down and eliminating several prominent Nazis who worked in concentration camps. Outside of this, the CIA have been monitoring the movements of underground terrorist group, ‘The Hellfire Club’ led by Sebastian Shaw. Having witnessed mutant abilities for the first time, Agent MacTaggart [Byrne] travels to England to seek out the advice and assistance of the newly graduated Xavier. After a brief covert operation goes array and Shaw escapes, Xavier befriends Lehnsherr and the CIA grants them leave to recruit several young mutants. Shaw’s plan to destroy humanity, giving birth to a dominant brotherhood of mutants is slowly revealed – complimenting the tense cold war setting – leaving our leads little choice but to intervene and expose themselves to the world. Granted, there are a handful of mediocre elements and a few liberties taken with certain characters but all-in-all, this is a stellar achievement. Vaughn has managed to not only breathe life into a series that was nearly throttled by the sub-par Last Stand and absolute dross Wolverine Origins but he’s created a truly fantastic film. The very fact that this is a 20th Century Fox flick and not produced by Marvel Studios is the biggest surprise; the locations, sets, costume design, visual effects, cinematography, pacing, everything registers as more than just a well-crafted genre piece but a genuinely thrilling blockbuster, masterfully combining humour, drama and action. 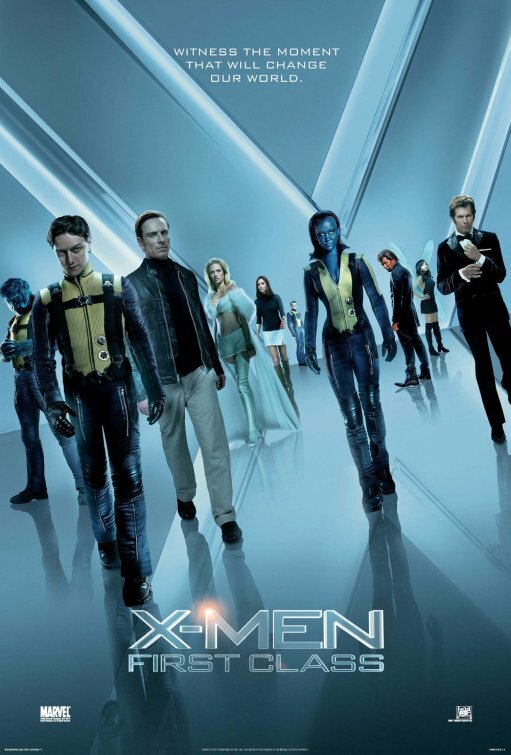 More an intelligent character study than some disposable action farce, First Class really captures the mythology and feel of the X-Men comic series. From the examination of Erik’s tortured soul, to the aesthetic fears of Hank McCoy [Nicholas Hoult] and Raven, every aspect is handled with such a semblance of realism and credibility that you can’t help but be moved by the character’s trials and tribulations. Additionally, Henry Jackman‘s score is exceptionally gripping, hitting every beat gracefully, from the dark stalking tones of Erik’s theme to the thunderous orchestral treatment of the action scenes. As far as the cast is concerned, I simply cannot fault them; the bond between Xavier and Lehnsherr is tenderly and often beautifully told, the younger recruits all deliver exactly what was expected of them and Kevin Bacon makes for an exemplarily sinister villain. There were, however, two minor points that niggled at me. The first was Hank’s transformation to Beast; it was well handled and keenly done but – to be honest – Beast is almost impossible to properly nail. Valiant efforts have been attempted in the past but no one has managed to crack it. Hoult is a brilliant McCoy but once he transforms we’re still left with a few unsatisfactory elements. But, this is a minor quibble. My main complaint is January Jones’ portrayal of Emma Frost. Visually, they did a great job and the sultry aspects have been highlighted well but without the sass and personality of the comics she feels a little under addressed; that’s not to say she’s little more than eye-candy but a great deal more could have been achieved. With the tasteful nods to its predecessors and memorable cameos from previous cast members, this feels like a Marvel Studios production. I know Fox are hoping this will be the start of a new trilogy and if the current cast and crew remain, I doubt there would be a single fan that wouldn’t be happy to see more. The multi-lingual t… no. The Wolverine cam… no. Er… turning the satellite dis… no. Curiously enough, this is actually a very difficult task. As the film is comprised of so many outstanding moments (from both a cinematic and comic-fan perspective), it’s hard to narrow it down to just the one. Alright, lets go for one of the big pay offs. Having distracted Shaw long enough to remove his telepathy-blocking helmet, Lehnsherr turns his back on Xavier and exacts slow, fitting revenge on Sebastian for executing his mother. Whilst sustaining a telepathic link with Shaw, Xavier shares the inflicted pain and lets out a chilling scream. Cleverly shot, it’s a very touching, if not gut-wrenchingly twisted, moment. Much like the highlighted scene above, selecting a standout individual is an equally taxing task. Each of the actors involved have amazing shoes to fill and while McAvoy and company do a wonderful job, it’s evident that Fassbender is a truly phenomenal actor. During the opening half an hour, during Erik’s systematic hunting of the Nazis, he finds himself in a bar in Argentina. Confronting the two aged soldiers, Fassbender sells his performance so exquisitely that the whole scene felt more like a surreal spy thriller than a Hollywood action flick. 2. The killer in Se7en executes people with reference to the seven what? 3. Gandhi was filmed in the United Kingdom and what other country? 4. The Wedding Singer is set in which decade? 5. What colour are the roses being painted in Alice In Wonderland? 6. What colour is Dom’s (Vin Diesel) trademark Dodge Charger in the Fast and Furious films? 7. What is the name of the killer in the Scream series? 8. Peter Pan mocks Captain Hook by nicknaming him after which fish? 9. Who plays the lead in Brewster’s Millions? 10. The van converted to look like a dog, in Dumb & Dumber, belongs to which character; Harry or Lloyd? 11. What type of animal’s blood was in the bucket that was emptied onto Carrie during the prom? 1. Terry Gilliam started out working as a member of which British comedy troupe? 2. What was the only Monty Python film that Gilliam directed? 3. What is the colour of the hallucinatory knight that haunts Parry in The Fisher King? 5. What is the name of the ministry that Sam Lowry works for in Brazil? 6. How many dwarves accompany Kevin in Time Bandits? 7. Which of the following did not star in Fear & Loathing In Las Vegas? Cameron Diaz? Jonathan Pryce? Tobey Maguire? 8. What is the name of Bruce Willis’ character in 12 Monkeys? 9. Eliminating Evil Since 1812 was the poster tagline for which Gilliam film? 10. Which musician cameos as the soldier put to death for bravery at the start of The Adventures Of Baron Munchausen? 11. “Squirrel butts don’t glow” is a quote from which Gilliam film? 12. Despite protests from Gilliam, Jabberwocky was released in the United States as Monty Python’s Jabberwocky. True or False? 2. How much does Preston enter on the cheque in 1994’s Blank Check? 3. Goodfellas was produced and distributed by which studio? 6. Who plays the villain Voltan in Hawk The Slayer? 7. What was the name of the 1987 Whoopi Goldberg movie about a burglar who returns to a life of crime only to find she’s being framed for murder? 8. The longest single shot in a mainstream film is 17 minutes long. What was the film? 10. During Elliot Ness’ first raid in The Untouchables, what was in the crates instead of bottles? 12. What was the name of Bill Paxton’s directorial debut? 1. These Are The Armies Of The Night was the poster tagline for which film? Red Dawn? The Warriors? New Jack City? 2. Which of the following is not a song from The Producers? Hello Boys? You’ll Find Happiness In Rio? Prisoners Of Love? 3. How many completed wall jumps does Donald O’Connor perform during ‘Make em laugh’ in Singin’ In The Rain? One? Two? Three? 4. Which of the following films not based on a video game? Wing Commander? Lifeforce? Far Cry? 5. What was the name of the virus in Mission Impossible 2? Bellerophon? Lamia? Chimera? 6. Who starred alongside Maureen O’Hara in 1942’s The Black Swan? Basil Rathbone? Tyrone Power? John Carradine? 7. After the opening scene in Crash (2004), the story flashes back how many days? One? Three? Five? 8. What is the name of the snuff killer in 8mm? Machine? Razor? Monster? 9. Charlie Bales works for which emergency service in Roxanne? Police? Fire Dept? Ambulance? 10. In what year was the first adaptation of The Picture Of Dorian Gray released? 1945? 1952? 1963? 11. What film did Joel Schumacher release in between Phone Booth and The Phantom Of The Opera? The Number 23? Veronica Guerin? Bad Company? 12. The 1990 film Cool World was dramatically re-written but the director was told he couldn’t leave the project, even after punching the producer in the face. True or False?